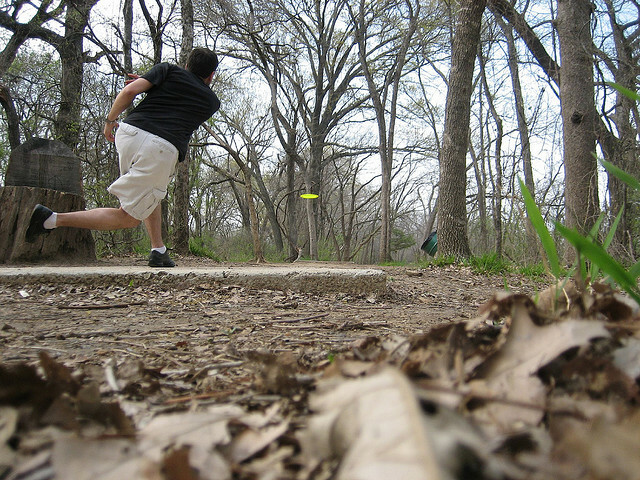 In disc golf, there are five general throws: backhand, side arm (also referred to as the forehand), overhand, hyzer, and anhyzer. Each of these throwing styles have to incorporate the four components of grip, stance, windup, and release. As one can see from all of this, there is a great deal more to the game of disc golf than standing on a tee and tossing the disc as far as you can. 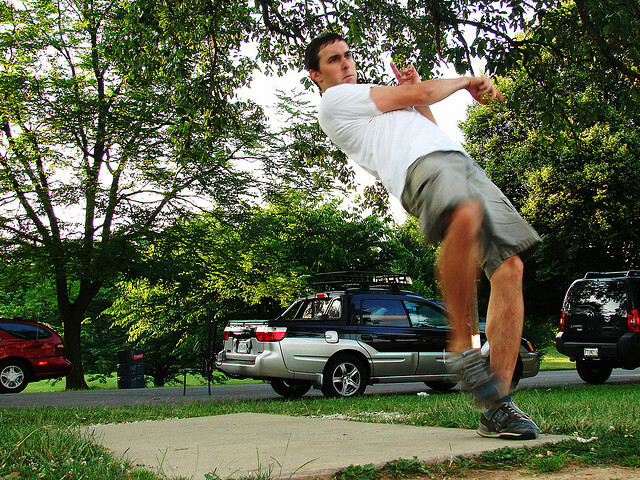 While these different types of throws are certainly not required for every disc golfer, the more that one understands and practices them, the more tools he or she will build within his or her arsenal for disc golf. Let’s explore the different types of throws and the ideal components for each. Creative Commons Flickr Photo courtesy of nffcnnr.